Following the death of Ruth's husband, she finds herself at a crossroads. Rather than return to her family and hometown, they young widow makes a remarkable decision: she will remain with her mother-in-law, Naomi, as her caretaker and companion. Together, the two widows boldly leave behind the lives they knew in the land of Moab and make their way to Bethlehem, arriving downtrodden and destitute. Though Ruth works day and night to provide for Naomi, it is ultimately through the kindness and generosity of Boaz that the two women find respite from their trials. As Ruth comes to know Boaz, she fins that her broken heart is beginning to heal in ways she could never have imagined. But when a question of inheritance threatens any hope of a life with Boaz, Ruth may have to give up the last piece o her heart in order to secure her future. As one who has long been intrigued by the story of Ruth as recorded in the Holy Bible, I was curious to see how author H.B. Moore could take what little we know from four chapters in the Old Testament and create a fictionalized novel. I was very pleased with the author’s work and applaud her skill and talent in creating a captivating read while maintaining a stronghold to the scriptural account. From the first sentence of chapter one, it’s clear that this is a personal story and H.B. Moore intends its reading as an account of “what could/might have been” for Ruth of the Old Testament. As a result of the death of Naomi’s sons, including Ruth’s husband, Ruth and her mother-in-law, Naomi, set out to take a pilgrimage of uncertainty as they seek the support of their selves with full reliance on and faith in the Lord. In an ancient society which primarily favors men higher than women, it was a daunting yet courageous journey that these two women took. Theirs was not an easily traveled journey, and their difficulties and challenges continued after their arrival in Bethlehem where they hoped to gain favor with Naomi’s kinsmen. With the help of relatives and acquaintances of their mutual faith, Ruth and Naomi demonstrate endurance, and create a life of sustenance and continued hope. Most importantly, there is a vivid depiction of Ruth’s determination to not only survive but to thrive by clinging to her conversion to the Hebrew faith as her compass for her life’s decision making. I particularly enjoyed the way H. B. Moore portrays the interactions and develops the relationship between Ruth and Boaz. I also greatly enjoyed Ruth’s gumption to do whatever it took to maintain her virtue and demonstrate honor for her faith, her late husband, and her mother-in-law by holding firmly to her converted faith. Her character was inspirational. As a reader, it reminded me that throughout one’s life, we might need to declare our conversion of faith again and again to demonstrate our sincere steadfast dedication to the Lord and his holy words, and thereby stay our course. The setting is vivid in the reader’s mind with descriptions that tap into all the senses. The story successfully utilizes cultural customs, clashes of difference in belief systems, the manner of dress/fashion of the period, the daily life in the home and community. Likewise illustrated throughout the story are examples of the hierarchy within the Hebrew family structure and the vulnerability yet the importance of women especially in sustaining life during harsh/desperate circumstances. It was easy to follow the perspective of the storytelling from chapter to chapter due to the author’s chapter headings illustrating either Ruth or Boaz, thus keeping the reader’s interest and comprehension anchored. The secondary characters, both historical and fictional, provide conflict, interest, depth, and dimension resulting in an enjoyable and rich story. Overall, the story of Ruth is a victory of the human spirit, triumph over trials and adversity, based on a foundation of religious conversion. Author H.B. Moore successfully brings significant emotional value to the satisfying conclusion of her portrayal of the story of Ruth with an honorable marriage to Boaz and a posterity for which she had long desired. This novel is well-crafted and very enjoyable to read. •	FINALIST, HISTORICAL ROMANCE - 2018 WHITNEY AWARDS COMPETITION, LDSTORYMAKERS. I give this novel a strong favorable recommendation for reading. It will appeal to both female and male readers across generations, and it will have particular appeal to readers who enjoy reading novels based upon accounts recorded in the Holy Scriptures. This was a quick read as I found myself intrigued to know how the ancient customs might interfere with Ruth's chance at love with Boaz. I truly appreciate Moore's skill in bringing this event from the past to the consciousness of the reader in a way that I felt like I was viewing the events. I highly recommend Ruth by H.B. Moore and ALL of the books she's written! 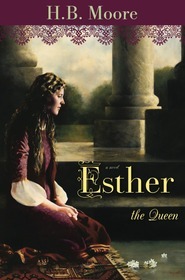 LOVE the way the classic story from the Bible jumps off the pages of this novel! I have always loved the story of Ruth in the Bible, it's one of my very favorites! I loved the way the author wrote this book, it helped me be able to see the story from the Bible even more in my mind than I usually do. I loved the way this book was a quick and easy book for me to read! I loved Ruth. I really loved the way the book starts with her married to Mahlon. You really get to see inside how life would have been for Ruth and Naomi living in Moab. It gave me a greater understanding and appreciation for the story in the Bible and how things would have been. I loved how Ruth was so loyal to Naomi, she is in the Bible, but you see it even more in the book. Then you get to see things through Boaz's eyes too. I loved how the author really fleshed out his character. Wow, I would have never thought of the way she portrayed him. I loved his kindness, charity and sense of honor. He truly is a great guy in the story! Then there's the setting. I could almost see and feel the hot, dry area and the people who would have been acclimated to living there. The plot line follows the Bible story really well, I loved that I knew what was coming next plot-wise, but I obviously didn't know how the author was going to work it all in. This book is so great! I loved every bit of it! This biblical story features Ruth and Boaz. Ruth and her mother-in-law, Naomi, lose everything in Moab. When Naomi decides to head back to the land of her roots, Bethlehem, Ruth goes with her since she has become converted to the one true God of the Hebrews. She is determined to look out for Naomi, who has been so kind to her. This author does an excellent job of casting great characters. I didn’t think I’d really get into Ruth’s story, because there isn’t a lot to it in the Bible, but Moore painted rich, deep characters and pulled into the ancient setting in a captivating way. Ruth is a kind, gentle soul. Boaz has led an interesting life. I loved getting an idea for my imagination to run with as the author described the threshing house and other tidbits about Bethlehem back in that day. The romantic tension was great in here too, and I felt my heart tugged back and forth as Boaz and Ruth both deal with their own demons they must overcome. Overall, this was an excellent read that I couldn’t put down. I read it in two days, which kind of shocked me. ***I received a copy of this book from the publisher in exchange for my fair and honest review. Bible story comes to life!